CellGenix MSC is a serum-free medium that provides optimal growth conditions for mesenchymal stem cells (MSCs) derived from human umbilical cord and cord blood. It promotes cell growth while maintaining the right phenotype. 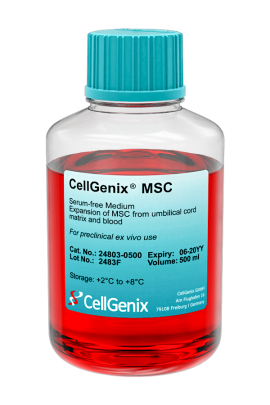 CellGenix MSC is optimized for the isolation and expansion of human umbilical cord mesenchymal stem cells (hUC-MSCs) and human umbilical cord blood mesenchymal stem cells (hUCB-MSCs). We offer the cytokines and growth-factors that are needed for optimal growth of your cells separately. This gives the freedom to add the mixture of your choice.  Our preclinical media are provided with batch-specific documented evidence of sterility and activity. 290-350 (mOsm/kg H2O), determined according to Ph. Eur. 7,2 – 7,5, determined according to Ph. Eur. ≤ 0,5 EU/ml, determined according to Ph. Eur. 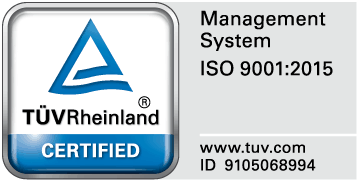 Sterility test of the final product determined according to Ph. Eur. Mycoplasma PCR-test according to Ph. Eur. For preclinical ex vivo use. Not intended for human in vivo application. Store at +2°C to +8°C. Light protection recommended.